Learn about wood species knowledge at Ferma Flooring. Learn about wood species knowledge at Ferma Flooring. Here, we introduce to the basic knowledge of Domestic, South American, and Asian and Other Exotic. Red Oak is one of the most popular wood types in North America due to its abundance and its balance between beauty and durability. Our Red Oak is the preferred species grown across eastern United States and southeastern Canada which is finer, and denser than its southern counter-part. 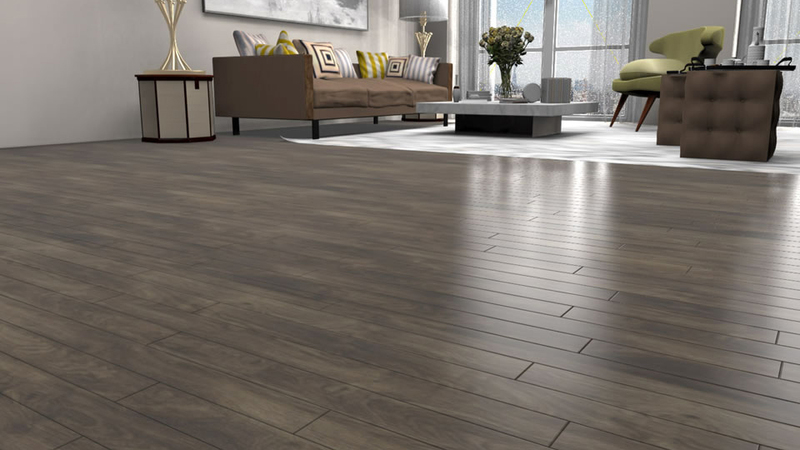 Depending on the grade of the floor, there can be a somewhat significant variation in color. More than 200 subspecies of oak are found in North America. The Northern Red Oak can be found all over the eastern United States and in the southeast of Canada. The colder temperature makes the red oak in the north denser and finer in texture. The tree can grow up to 150 feet tall, and its trunk can grow to 4 feet in diameter. White Oak is the cousin to Red Oak with distinctive characteristic of its own. Unlike Red Oak which has pores in its planks, White Oak has tyloses in its cellular structure which prevent water from seeping through, that’s White Oak is also often used for wine barrels. 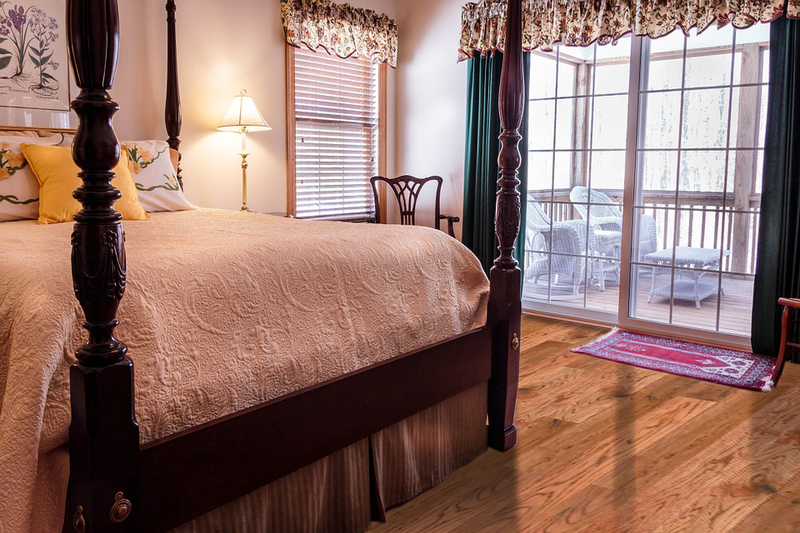 In addition, White Oak is relatively resistant to rotting and bugs. 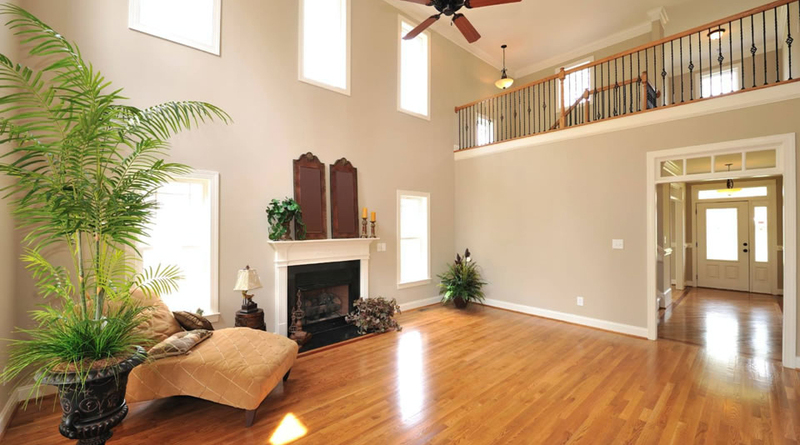 White Oak sapwood is relatively light in color and its heartwood is light to dark brown. It has a coarse texture and is usually straight grained. White Oak grows naturally in the eastern side of North America in a variety of environments. Depending on the environments, White Oak can be a shrub in high altitude and harsh places, or up to about 85 feet in most common environments. Because White Oak’s branches like to grow laterally to the ground, it is an excellent shade tree. Hickory is known for its exceptional hardness and its extreme contrast in color between its heartwood and sapwood. In fact, it is the strongest wood known across North America. Its tan and reddish brown heart-wood creates a distinctive look with its creamy white sapwood. Because of its exceptional toughness and shock resistant property, it can be hard to work with hand tools, but hickory wood floors hold down glue and nails well. Hickory is primarily grown in the Eastern part of North America. Hickory have two main groups: true hickory and fruit bearing hickory or more commonly known as pecan hickory; however, they are very similar in all aspect so they are commonly sold together. The trees can grow as tall as 120 feet and can take as long as 200 years to mature. American walnut is a moderately hard floor. It has heartwood ranging from a deep, rich dark brown to a purplish black. Sapwood is nearly white to tan. American walnut shows little color variation when exposed to intense light. Unlike many other wood species; walnut actually lightens in color over time. The grain of a walnut wood floor is usually straight, with some burly patterns if the wood has been cut close to a limb. 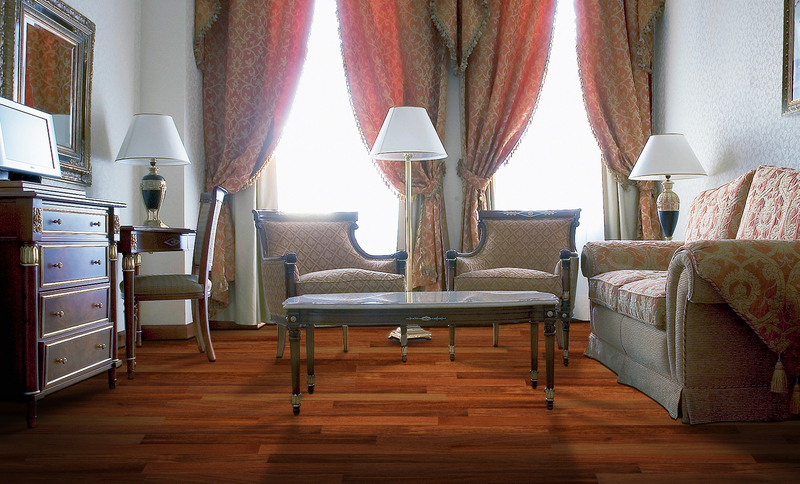 The burly pattern gives walnut wood flooring a hint of exoticness within the domestic species. The American Black Walnut tree is a native species to the eastern area of North America but can grow westward toward central Texas. It can attain heights of about 30 to 40 feet. The walnut nuts are shelled commercially in the U.S. for a variety of abrasive cleaning, cosmetic, and oil well drilling and water filtration products. Its popular nutmeats provide a robust, and distinctive natural flavor, and also high nutritional value. One of the most unique type of “hardwood” floor because technically bamboo is not a tree, but a type of grass. It is usually in light manila or yellow tone. The grain is very distinct at that it shows the nodes found on bamboo stalks. 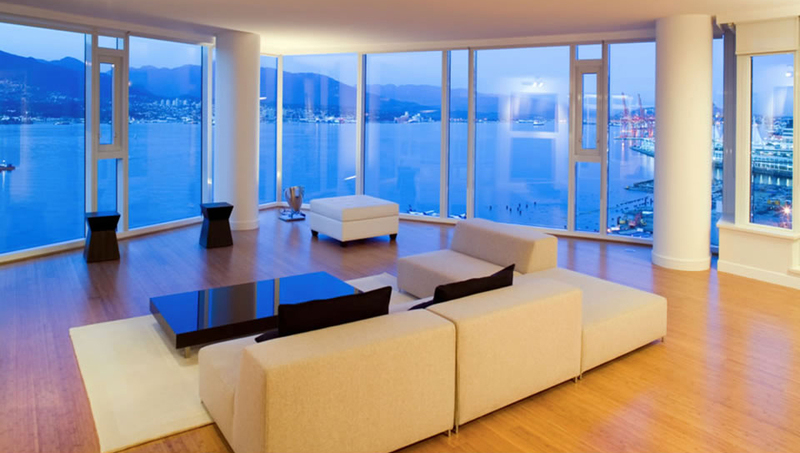 Bamboo floor comes in two ways: vertical and horizontal constructions which have varying properties. Bamboo is a very commonly found in the far Eastern region of Asia. It is commonly mistaken as a type of tree, but in fact is a type of grass. Bamboo can grow at an amazing rate at about 24 inches a day depending on the richness of its soil. Bamboo also bares heavy culture influence from Far-East Asia because of its extensive use from that region. However, Bamboo actually have a wide distribution around the globe even in part of Mid-Atlantic United States.